The mighty Kevin Lehane (who also celebrates his birthday today) nominated me for a writers’ blog tour that’s doing the rounds. The idea is to answer four simple questions, then pass it on to another writer. For Kevin’s wisdom click here. 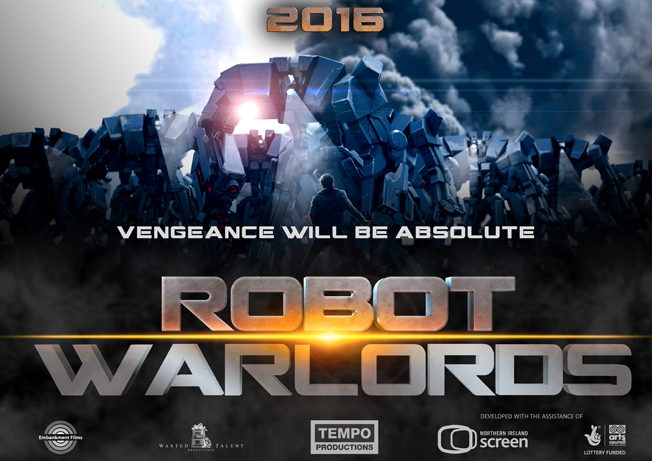 Currently, Jon Wright and I are working on the sequel to ROBOT OVERLORDS. Having been one of those pub bores who will tell you how brilliant THE GODFATHER: Part II and THE EMPIRE STRIKES BACK are, and how GHOSTBUSTERS II is an appalling travesty, I suddenly find myself sympathising with Dan Aykroyd and Harold Ramis… sequels are hard! But it’s a great problem to have. I know plenty of writers who would gnaw their right arm off for an opportunity like this. Though writing without a right arm is surely more difficult than writing with both, so they clearly haven’t thought it through. I’m also working with Jacqui Wright on a black comedy called KILLER FAMILY CHRISTMAS, and I’ve just finished a pass on a cracking World War Two adventure called THE BLACK SPITFIRE, which I’ve been writing with VFX guru and Spitfire connoisseur Paddy Eason. And I’m also trying to find time to write a novel. I’m about ten thousand words in, and all I need is an extra day in the week and I’ll be fine. 2. How does your work feel different to others of its genre? I tend to think bigger than most of the British writers I meet. Trouble is, we don’t make many big budget movies over here, so the opportunities to write blockbusters are few and far between… but then you eventually get a reputation as the guy who can write ‘big’, and that gets you meetings. A lot of Brit writers will write a low-budget spec — maybe a horror with a £150k budget — because they think that’s all that will ever get made, and they’re largely correct, but there’s a part of me that wonders if this isn’t just a vicious circle. People tell me that I write pacy stuff, that it’s often funny with good dialogue. I know that we’ll never be able to compete with Hollywood when it comes to crash-bang-wallop values, so I try to make the characters as interesting as possible. One of the most gratifying things about watching ROBOT OVERLORDS with British children is seeing them enjoy watching kids that speak like they do, and live on streets that they recognise, having a massive wide screen adventure. If you’re eleven, you’re too young to have seen Harry Potter on the big screen, so this will be a new experience for you. That already marks the film out as different from anything out there at the moment. I think you simply have to write the kind of movies you love watching. Having been through the process of ROBOTS — nearly four years and counting — I don’t think I could enjoy writing something that didn’t have me skipping to the keyboard each morning. That’s not to say it’s all flowers and sunshine — it’s often hard — but that passion is what gets you through the tricky days. When I was younger and a little more desperate I would try and write anything. There was one comedy that I was attached to for years, which became a grim experience simply because I was wrong for the job. Tonally, it just wasn’t me and I was wasting everyone’s time. To thine own self be true, innit. I outline like a mofo. Just keep drilling down and down and down until I feel confident that I can start writing individual scenes and sequences. Then I rewrite and rewrite and rewrite. 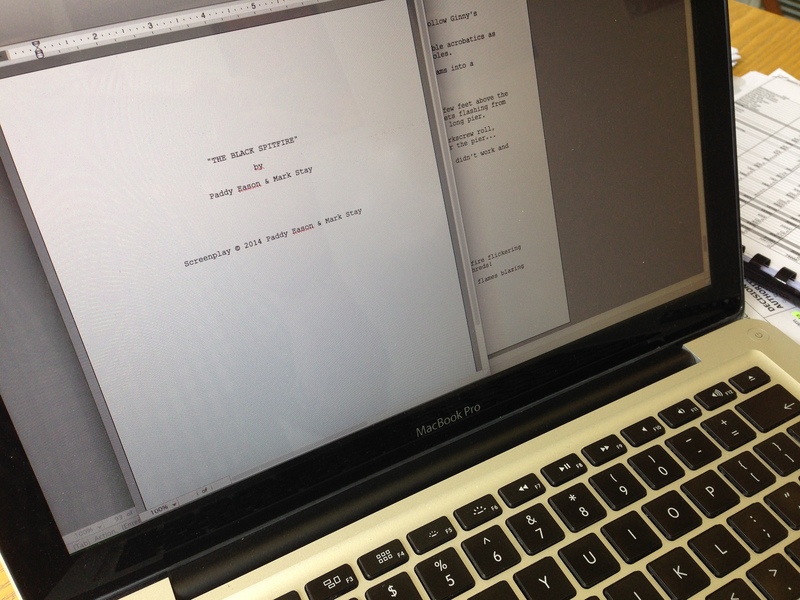 I like rewrites. It’s the only way to improve. Then when the script is big and fat, I start cutting, cutting, cutting, bare to the bone, as lean as it can be. I’m also very aware that as a screenwriter, what I write needs to make sense to the director. He or she is the one standing on set on the day with the cast and crew staring at them, waiting for some… er… direction… and if the director doesn’t understand why a scene is still in the script, ie: because I insisted that it stay in due to some emotional attachment that I have to it, then guess how good that scene is going to turn out? This means I’ve learned to bend a bit. Well, quite a lot. A screenwriter needs to be a bit of a contortionist. If you want authorship, then write a novel. Well, I’ve waffled on for quite long enough. I’m going to find a few more writers for this blog tour and will post their details here soon, and we can all benefit from their wisdom. Thanks again to Kevin for the tip off!